Scientists are already using 3D printing to build “organoids” that mimic organs at a tiny scale and can be used for research. They are built using stem cells that can be stimulated to grow into the functional unit of a particular organ, such as a liver or kidney. The challenge he says is to scale up organoids into a structure that could boost a failing organ inside a patient. Such “bioprinting” involves using a computer-guided pipette that takes up cell cultures suspended in nutrient rich solution and “prints” them out in layers suspended in a gel. Without the gel the cells would simply become a watery mess. The problem says Mr Chuen is that once inside the gel, cells can die in a matter of minutes. This isn’t a problem for small structures like organoids that can be built quickly and then transferred back into a nutrient solution. But it is a problem when attempting to make something larger like an organ because the initial layers of cells will die before the organ is completed. 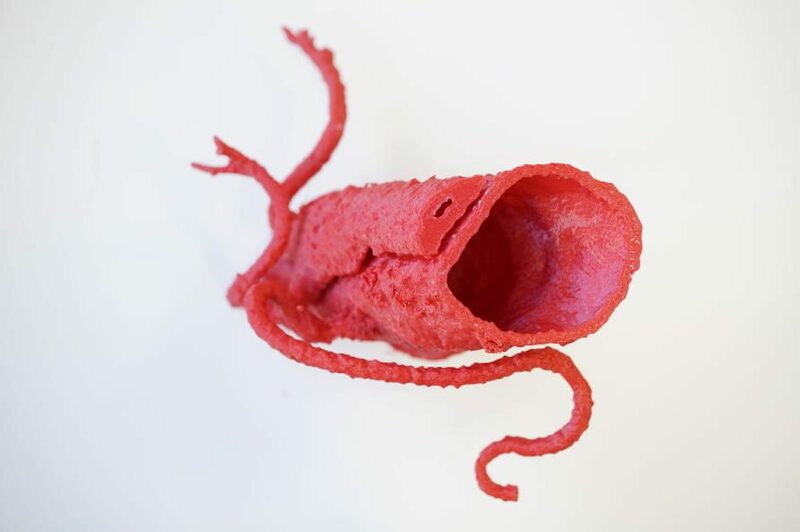 “Unless there is some breakthrough that enables us to keep the cells alive while we print them, then I think printing a full human organ will remain impossible. But where there is potential is in working out how to reliably build organoids or components that we could then bind together to make them function like an organ,” says Mr Chuen. Read on to learn more about other areas 3D printing is changing in the medical world.